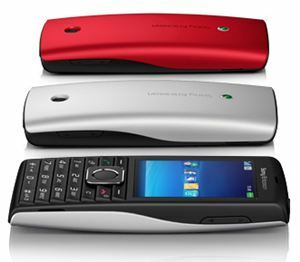 As part of the GreenHeart commitment to protect the environment, Sony Ericsson has recently announced a new mobile phone which is known as Sony Ericsson Cedar. The environmentally-friendly phone has been featured with various green credentials such as recycled plastics, a low power consumption charger, an e-manual, waterborne paint and compact packaging. The phone is being designed to target those who look for an easy way to stay connected at an affordable price. 2.2-inch TFT display with 262K Colors. Widget Manager 2.0 allows easy access to favorite social network and applications. Preloaded with social network applications such as Facebook, Twitter and MySpace. Keep contacts close – hassle-free phone book transfer and web backup. Stay organized with calendar, phone book and email. Fast browsing with 3G and direct access to the web browser. EAS Push email and modem connectivity. 3.5mm jack and FM radio. Integrated with Media player for music and video streaming. Human curvature design – fits into the palm of the hand. GreenHeart – for a greener choice. Available in Black/Silver and Black/Red. HSDPA 2100, EDGE, GSM and GPRS. The Sony Ericsson Cedar with measurement of 111mm x 49mm x 15.5mm and weighs 84grams is expected to be available in third quarter 2010.